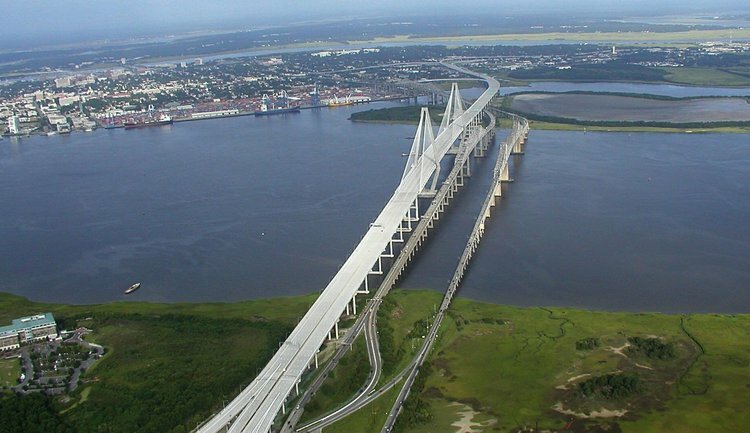 Sparky is out of town and I am needing a bridge fix. 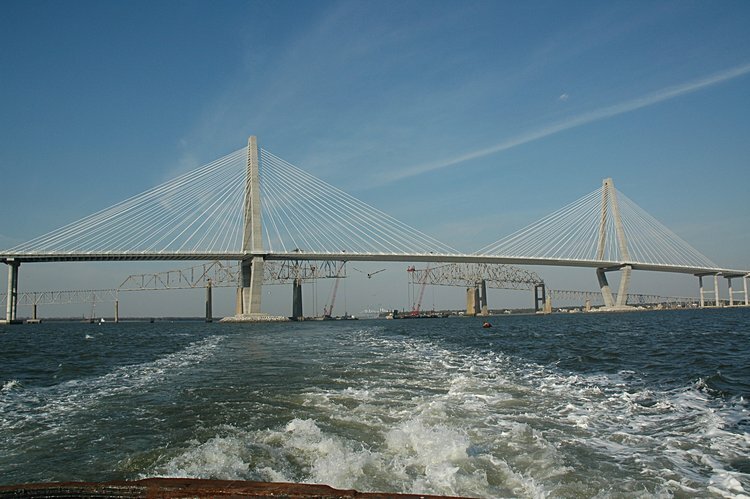 So I thought I would try to find photos of the Ravenel Bridge with the Pearman and Grace Bridges in the background. 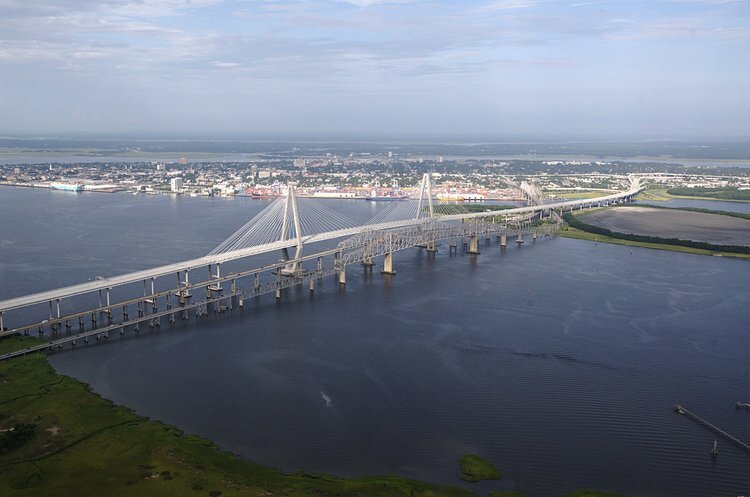 The idea is to show the changing look of the Cooper River as sections of the Grace and Pearman Bridges were removed. 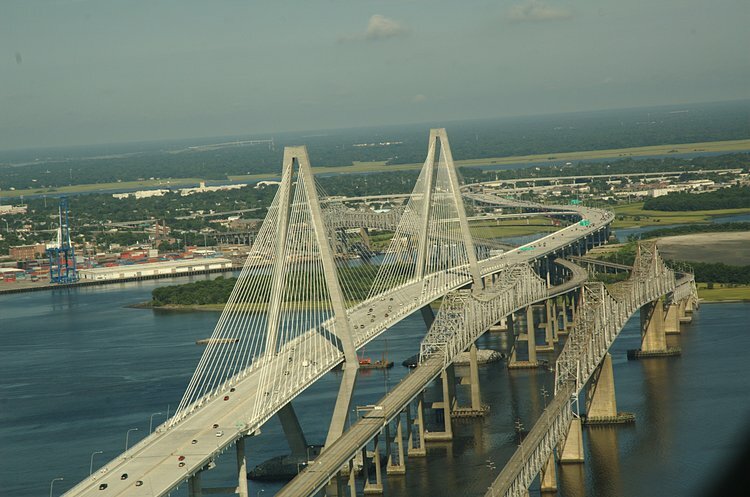 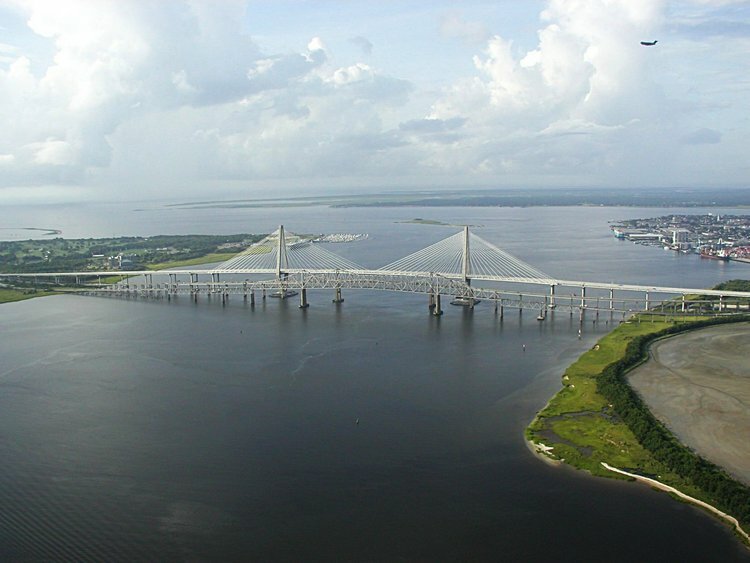 Here are a few aerial shots taken just before the opening of the Ravenel Bridge. 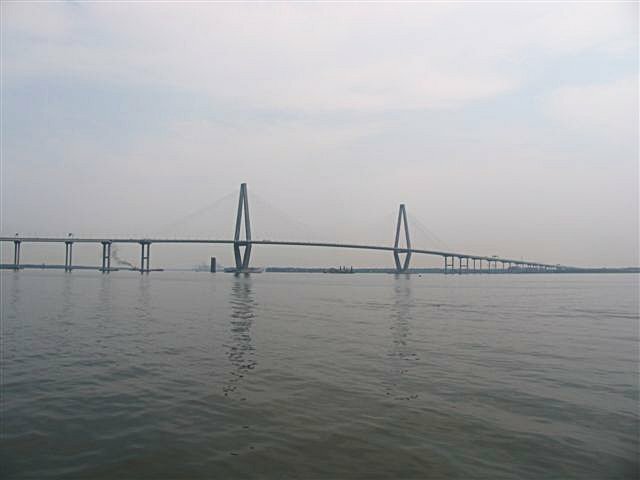 August 20, 2005: At the end of a survey trip with Ken Canty. 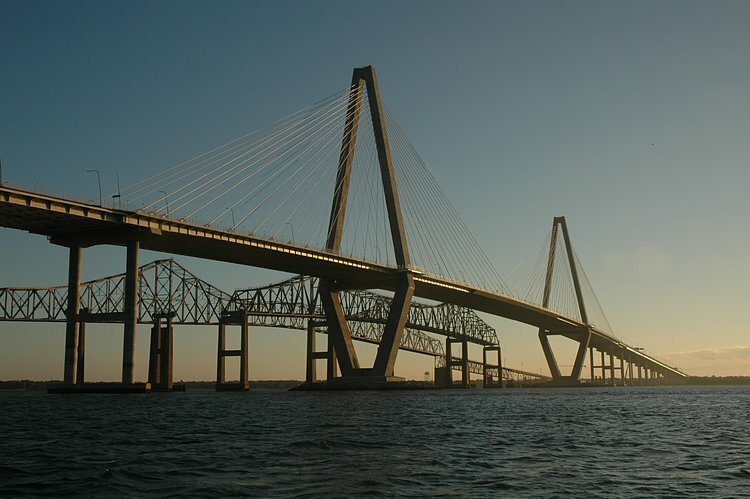 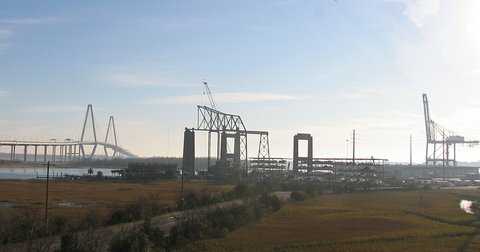 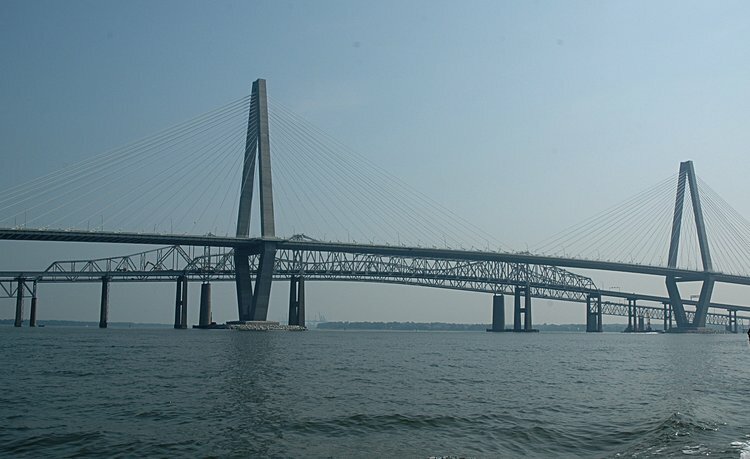 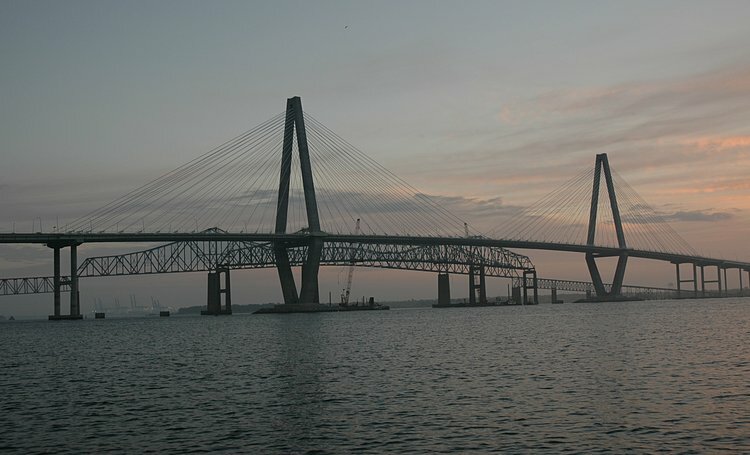 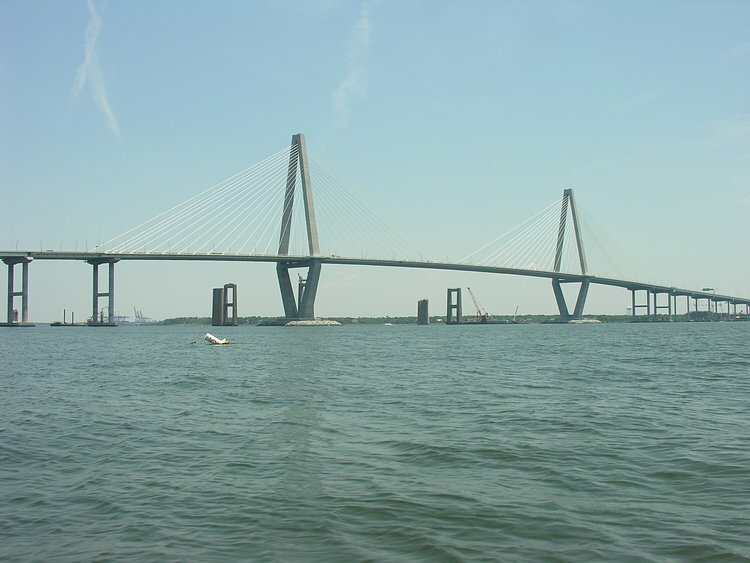 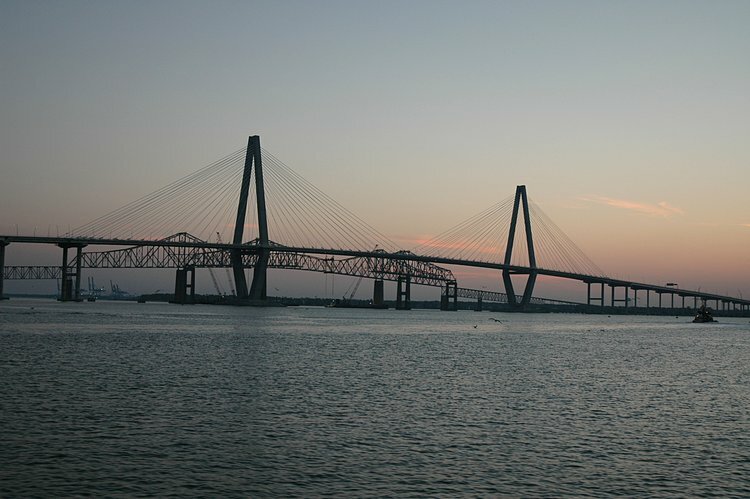 The completed Ravenel Bridge and the mostly untouched Grace and Pearman Bridges. 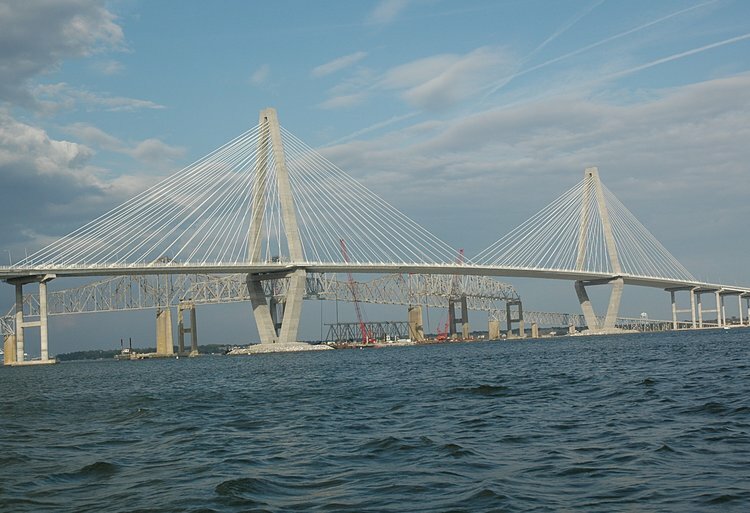 You can see two excavators on the west side of the Pearman main span. 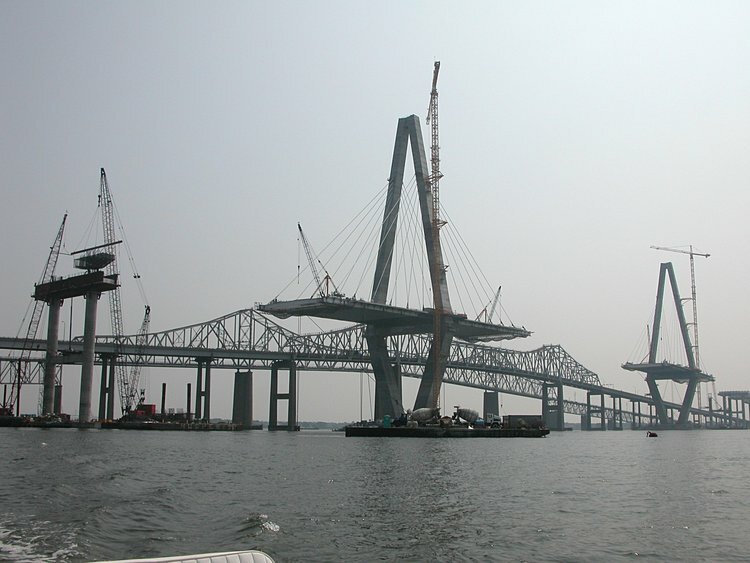 June 7, 2006: After removal of all the Pearman and Grace cantilever sections.